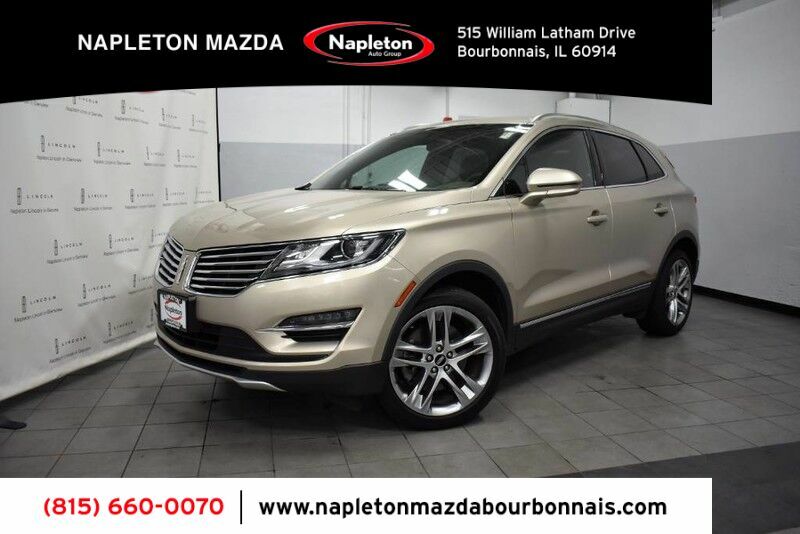 NAVIGATION, PANORAMIC VISTA ROOF, HEATED AND COOLED LEATHER SEATS WDRVR MEMORY, BLISS W/CROSS TRAFFIC ALERT, POWER LIFTGATE,DUAL POWER FOLD HEATED MIRRORS, CLIMATE PKG-HEATED STEERING WHEEL,19"5 SPOKE PREMIUM PAINTED ALUMINUM WHEELS, HID HEADLAMPS, REMOTE KEYLESS ENTRY W/KEYLESS KEYPAD,INTELLIGENT ACCESS W/PUSH BUTTON START,SYNC HANDSFREE COMMUNICATION SYSTEM,MY LINCOLN TOUCH, SIRIUS SATELLITE RADIO, REMAINDER OF LINCOLN CERTIFIED WARRANTY TILL APRIL-11-2021 , At Napleton Lincoln in Glenview, we pride ourselves in offering the finest vehicles available to our customers. We complete a thorough 119 point inspection on each of our pre-owned cars, Brakes, Tires, Lube, Oil, - Detailed! We check and double check so that you can drive with peace of mind! We also provide a Three month/3000 Mile Power train Warranty on any vehicle less than eight years old and 100,000 miles. We invite you to experience the Napleton Difference. A great place to buy your next vehicle! Please contact Kirk with any further questions regarding this fine vehicle. We want to earn your business and invite you to become a member of the Napleton family which has been doing business for over 83 years in our neighborhood! WE ARE DIFFERENT! We try our hardest to make sure we treat all of our customers with honesty and respect. We are a hometown store that is interested in creating and maintaining great relationships with our customers. There is a definite Napleton difference and we invite you to come in and experience it for yourselves! This is truly a great place to buy and service your next vehicle!